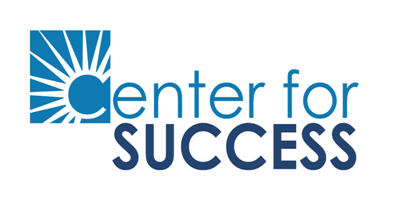 The Center for Success Network is a nonprofit organization committed to impacting youth in underserved areas through education and exposure to social interactions and activities. We believe that if we impact the next generation, we change our future. Empowering youth and families to live successful lives. To open centers nationwide that will impact youth and their families for generations to come. students who are high need of our literacy and mentoring programs. Effectiveness - We are committed to building quality programs with measurable results. Excellence - We believe that every detail matters in order to achieve measured success. Empowerment – We are committed to empowering youth individuals by providing resources and emotional support to be successful. Multiplication - We are committed to launching more centers that will impact the world for generations to come. Diversity - We are committed to inclusion and diversity leading our organization and programs. Safety & Security - We are committed to provide safe environments for families. The Center for Success Network targets communities across the country with demonstrated need for educational and mentoring support for underserved students. Our centers help alleviate the adverse effects of poor educational systems and expand their opportunities for success. The Center for Success Network engages the community to support underserved children, increasing their prospects for becoming inclusive and productive members of society. We provide after school, academic focused, individualized mentoring and tutoring for elementary and through high school students at no cost. Students are evaluated to determine their levels of literacy, math and other areas of learning. If a student is behind in any area (Word Analysis, Fluency, Comprehension, Math, Grammar, etc), or struggling at grade level in school, they are encouraged to join our program. We also provide parenting classes, computer trainings and other educational based programs for families. The Center for Success Network evaluates and tracks participating students progress in six key areas -- including literacy-related results and socio-emotional outcomes -- through pre- and post-program assessments. The resultant data indicates the degree of change in academic improvements as well as in self-confidence. The data informs program design, quality and effectiveness while also informing families what is necessary for each child. Mentors range in age from high school students through adults from the local community. Mentors must complete training and a criminal background check before being placed with a student. Our expectation is that our volunteers commit to one program time per week throughout the school year. All of our programs hinge on our mentors. Our desire is to keep our student/mentor ratio as close to 1/1 as possible. With this goal in mind, the ability to recruit mentors is pivotal to the success of our programs. Center for Success Network is committed to exposing, educating, engaging and empowering youth in non-traditional formats. We truly believe that once youth are exposed and engaged to diverse outlets, CFS and our community partners can provide education and empowerment to pursue their dreams and live successfully. Our framework is the foundation to impacting youth in four key areas: Education, Health and Wellness, Arts and Culture and Social- Emotional Development. Expose - Preparing youth to live productive and successful lives by exposing them to innovative concepts and opportunities while exploring life’s options. Educate - Recognizing and supporting youth to make academic achievements and build social-emotional skills that lead to a successful future. Engage - Providing meaningful interactions between youth and the community that engage youth to feel connected, respected and heard. Empower - Encouraging youth to be cultivated, individualistic, and compassionate, empowered to learn and lead.